I will be taking a very well deserved break @ 1pm to go swimming with the Littles. but first I must share some fantastic news! Whilst I slept- I reached 300 +1 followers! Yeah me! I know, I look awful as a red head- but anyway- that was me. When dinner was over, I went to the deck to have a smoke. When I woke up I grabbed my coffee and went to the porch to have a smoke. When I was on the phone (which was a lot) I went to the garage to have a smoke. When I needed a break, I just went to smoke. The Mr quit four years before I did- and the only thing worse than living with a non smoker when you are one- is a reformed smoker! So this is on and off (mostly on) for 23 years. 1) I was going to become more organizned. 2) I was going to surround myself with Positive Pollys. 3) I was going to work on my OLW- Priority. With a lot of hard work- so many wonderful things have come to fruitition. Like, threw the unfinished pack away in front of the family and made the promise, cold-turkey! I realzed that life as a non smoker was pretty nice. I didn't have to worry about my breath. I was able to get my nails "did" - smoke always turned my tips yellow. And they have been "did" since July of last year. I have saved lots of money. OH MY FAV- I got my "grill" redone-It was never an option unless it was a "for sure" thing that I was really quitting. 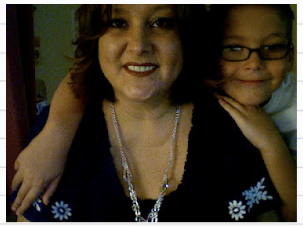 So Lots of Drama (and P.A.I.N) and $10,000 later- I have my smile (actually a better than before smile) back! So life has given me lots of goodies since I made that choice to quit. 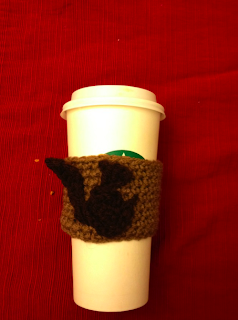 I keep my mind off of it by blogging and I keep my hands busy with typing, scrolling, stalking, and crocheting. Worked this one up last night- needs some tweaking- but I think all she needs is cute green bow and some lipstick and she'll be ready to go! That's us "throwing" the Squirrel Gang Sign! Congrats on throwing it out for good!! 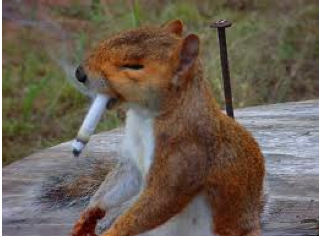 You had me cracking up with the picture of the squirrel smoking LOL. Good for you on achieving something that is so difficult for many people to do!! That is awesome! Yay for you! Hey, how have I missed this Texas blogger get together? I read about it on Kristin's blog yesterday. I'm in Oklahoma, if the get together is close enough I'd love to come meet up with you! Woot Woot! Congrats on no smoking. My recent post made me think of you as in has none other than a squirrel actor in the Chicken soup video/song I posted. 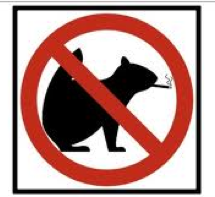 Congrats on 300 and congrats with the not smoking for a year :) We want our squirrel to be around a long time! One of my fears with smoking is that I'll be smoking and one of my kinders will see me. I try to never smell like smoke at work (like I get one in the morning and then take a shower/brush my teeth/put on perfume and won't smoke again until I am at home after work), its just something I don't want to associate with my work. I would like to quit one day... and I'm very proud of you for quitting a year ago! Way to go! I know its hard and I haven't been smoking nearly 23 years (hence I'm only 24). P.S. I made a freebie today that reminded me of you the entire time I was making it! Go check out my blog and tell me what you think of the squirrels! Woo, congrats!! I'm so glad you quit!! Congrats on 300 and congrats on quitting! I am the ONLY one in my family that never smoked and I will tell you that it will mean so much to your kids that you quit! Way to go on 300+ squirrel stalkers! I am excited to meet you next weekend! Do you have a pic of you on your blog ? and a much bigger pat on your back for quitting smoking! Have fun at the meet up. Wish I were closer! That's such an accomplishment-you should be very proud! Congratulations on quitting~!! Also another congratulations on getting 300. That is quite an achievement. Yay for you quitting smoking! Looking forward to meeting you at the Texas blog meet-up this weekend! Congrats on your BIG milestones all lining up for you like that! Yay! And quitting cold turkey! Fantastic! Yay!!!! So proud of you Mrs. Squirrels! I thought of you today while I was in Michaels. I was trying to find some scrapbook paper for my drawers! Can't wait to hear about Texas! Oh, I so know the song you are singing. I quit 12 year ago the day we decided to get preggers. I did pretty good with that, until I started teaching. Why, oh why, do little children make me want to smoke? But now I've been in the clear since last September. Yay for non-smokers! I'm proud of you. But I have to say, I LOVE that photo. It kind of makes me want to sneak off to the garage. I've missed you, and am looking forward to a summer of catching up! Only a few months and you will be celebrating too! I've missed you, too! Where have you been young lady? and I love your peacock tattoo! I've been in first grade purgatory. But I'm recovering! Btw, what a gorgeous smile you have! Hope you are having fun on your trip!